Sometimes a flint knife or adze is just not enough and you need something with a bit more clout. 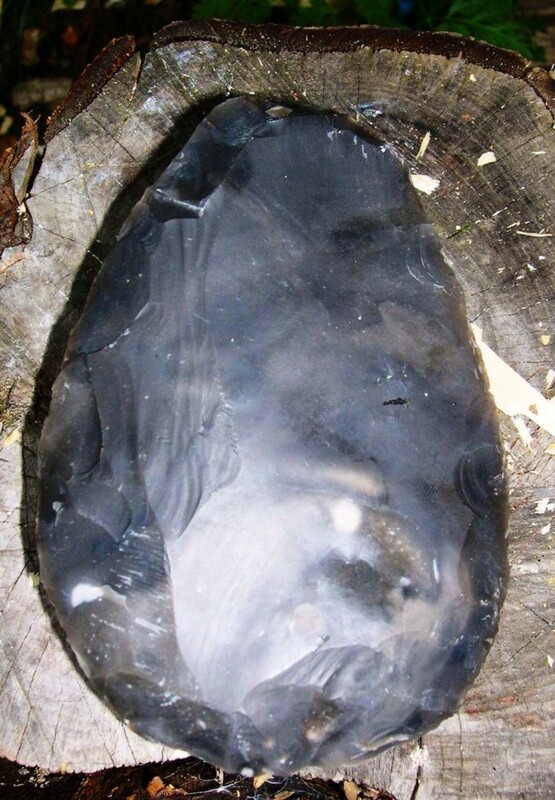 At times like these, what you need is a flint axe. 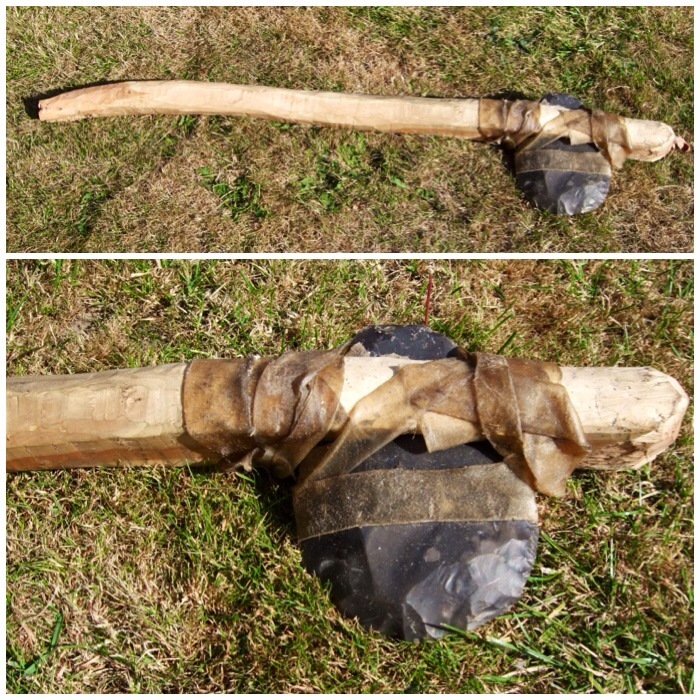 Here’s how I constructed the large flint axe you can see below, with a few pictures at the end about its little brother, the hatchet. 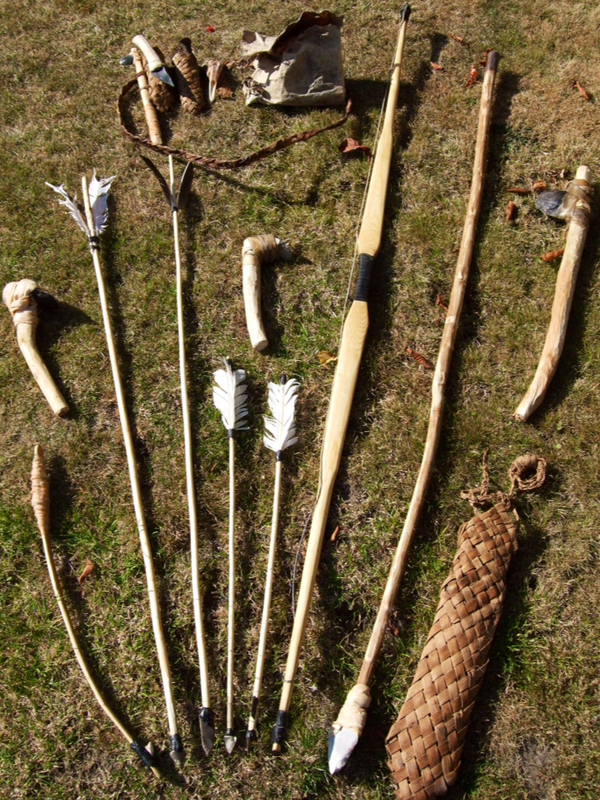 I made these tools on the Woodcraft School Primitive Technology course and had some excellent tuition from John Rhyder and John Lord. 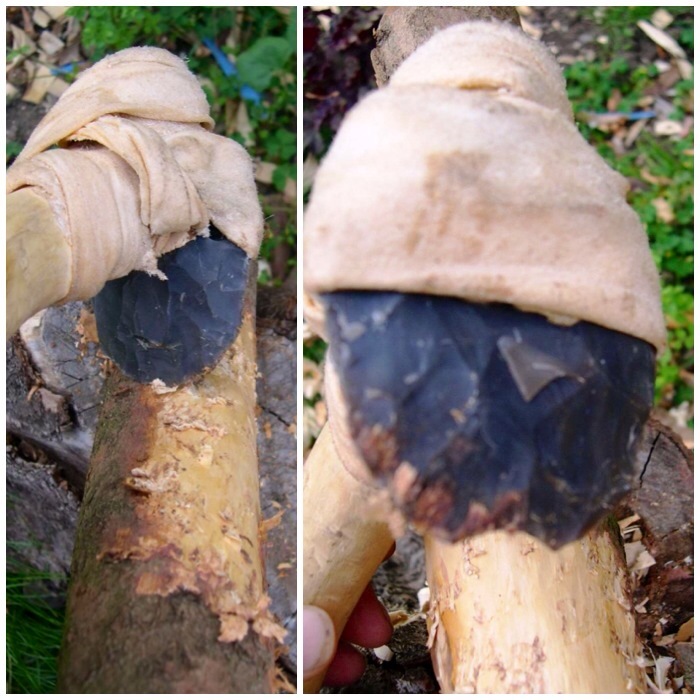 John Lord gave an excellent demonstration on knapping a flint axe head. 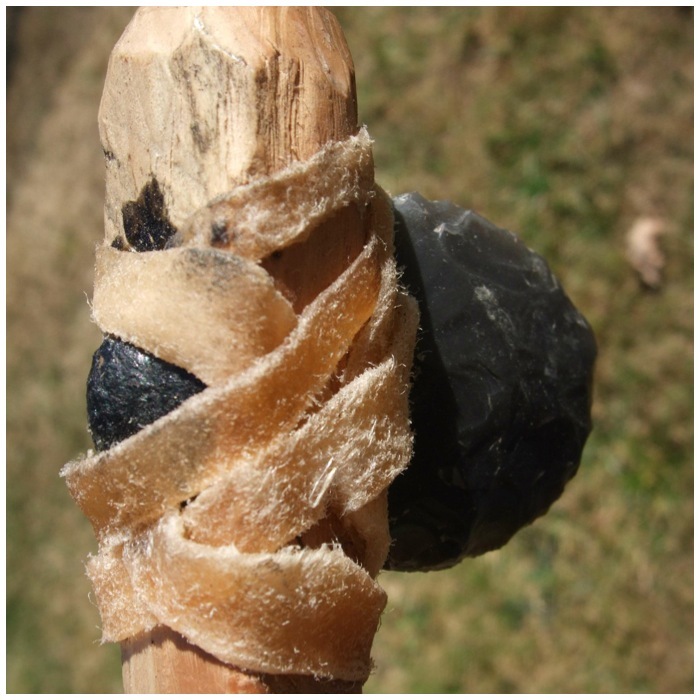 It was a joy to watch this master take a lump of flint and transform it into a work of art. 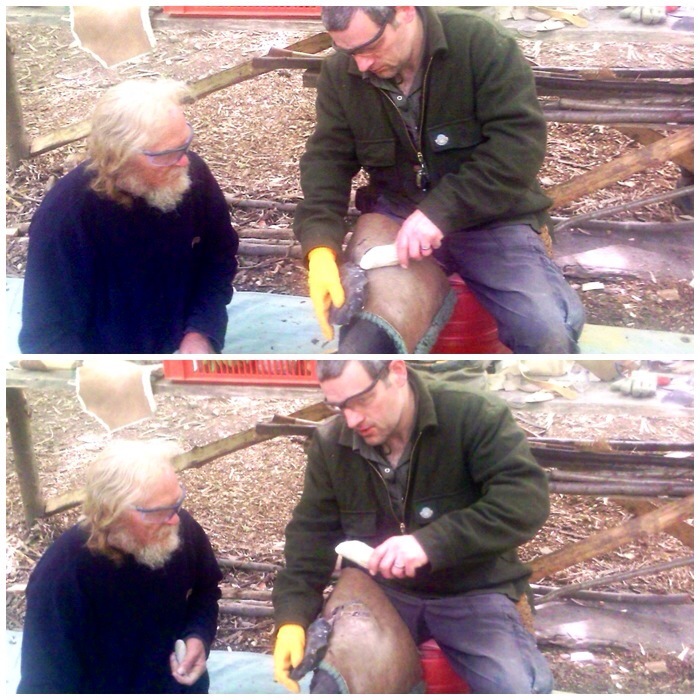 When it came to the turn of us students to knap out our axe heads John gave everyone lots of one-to-one tuition. 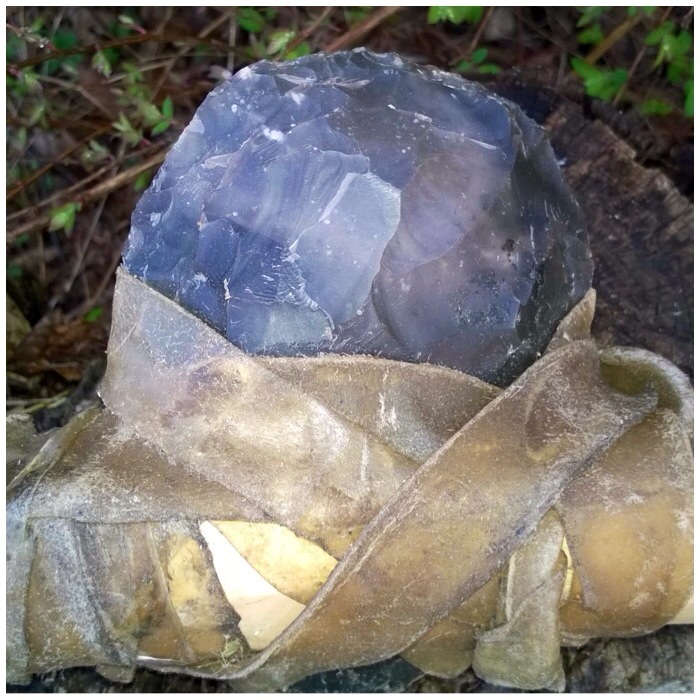 If it hadn’t been for this (and John knapping the tricky bits) I would have been lucky to have ended up with an arrow head, never mind a large axe head. I like to think that this axe head has some of me in it but truth be told it’s more John Lord than me. I did however have a great time seeing this axe head appear out of the flint knowing at least part of it is me. I used a well-seasoned piece of yew for the handle as that was what I had available at the time. 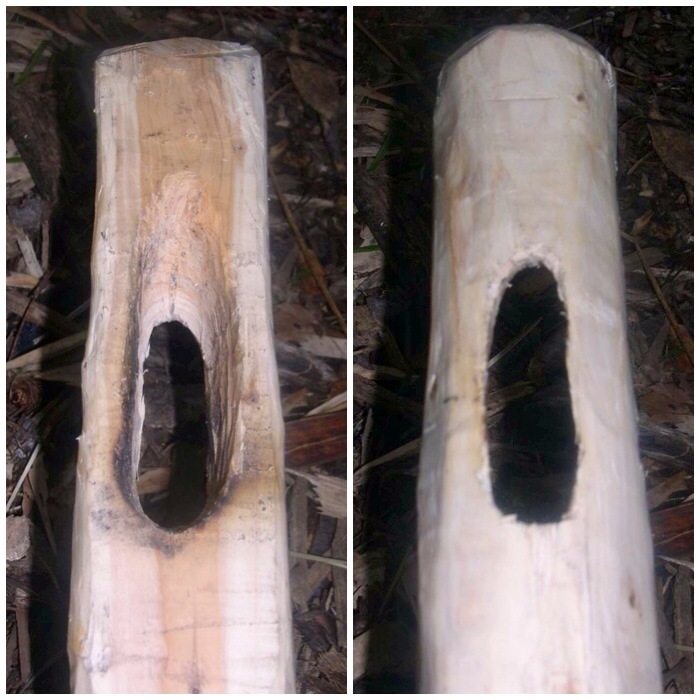 Initially I used my flint adze to try and shape the yew, but although the bark came off easily enough it didn’t make much of an impression on the hard wood beneath. 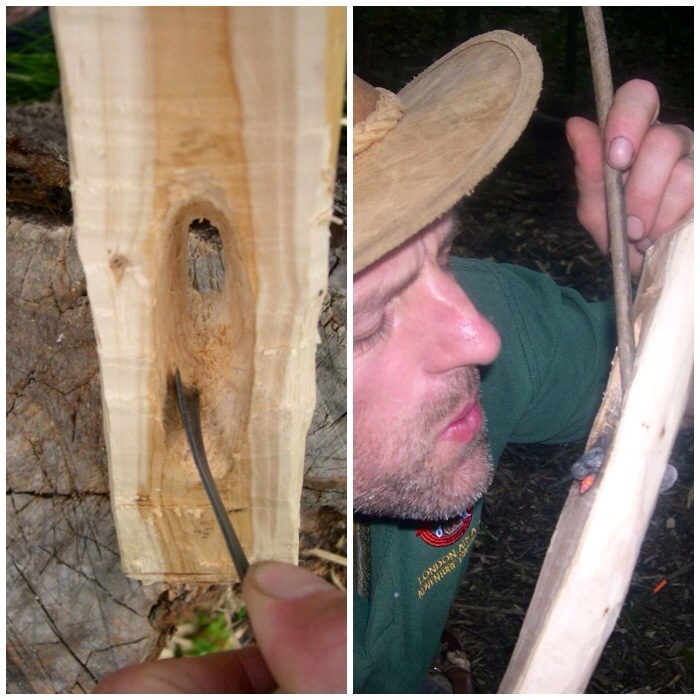 You can see the tool marks left on the wood by the adze in the right-hand picture below. As a Time Team enthusiast I have watched the archaeologists discuss such marks on many ancient pieces of worked wood they have found so it was good to see it in action for myself. 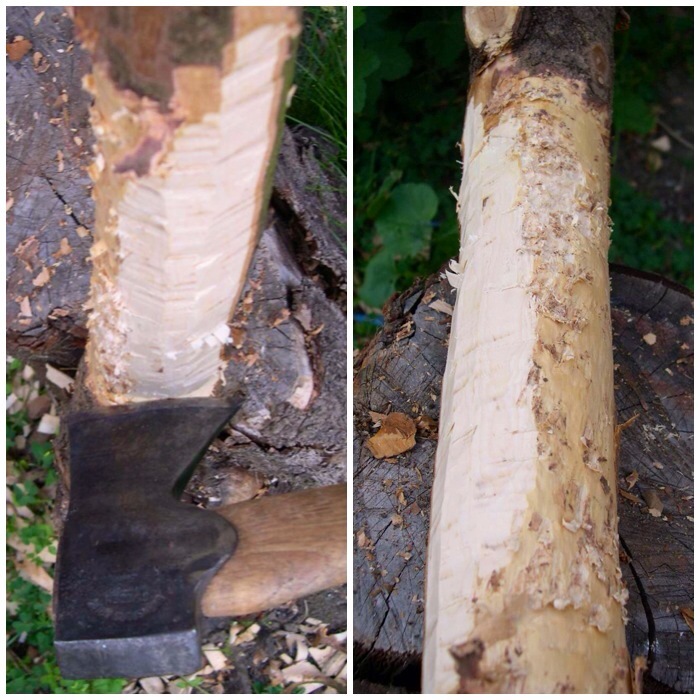 At first I used short chopping motions to tear away at the bark and wood with the adze. 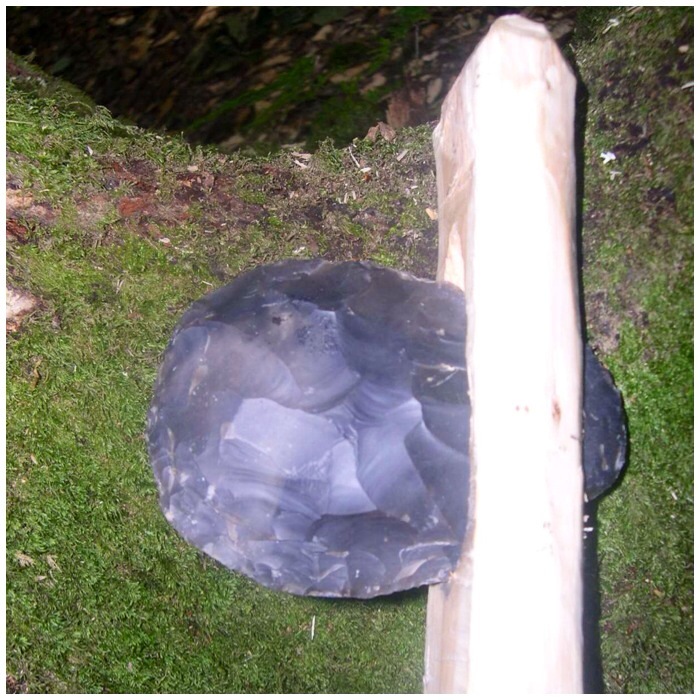 Ever experimenting, I tried a few strikes with a bit more force and eventually took a chip out of the adze blade. I was able to re-sharpen the edge of the adze by pressure flaking it but decided that the yew was just too tough for the adze (notwithstanding my lack of patience and skill). 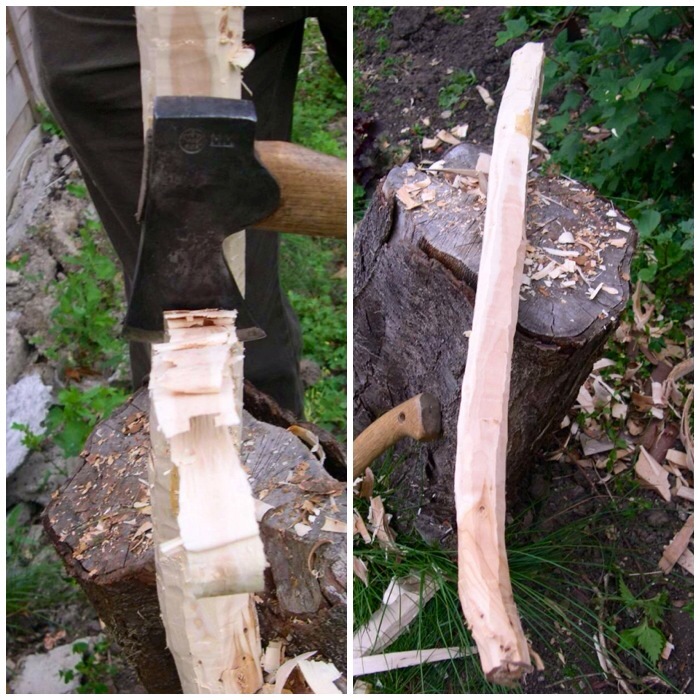 I reverted to my modern axe which took the excess wood off easily. 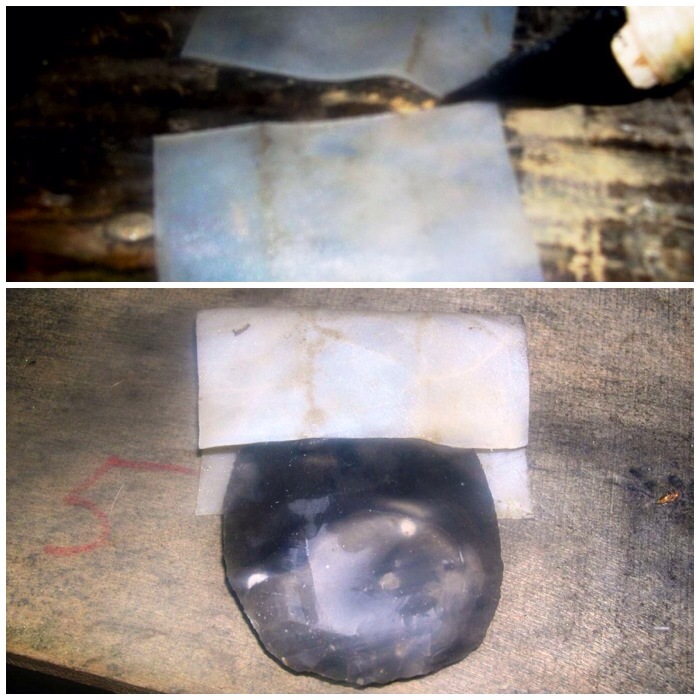 In the picture on the right below you can see the very different tool marks left by the iron axe in comparison to the flint adze marks. This piece of yew had a slight curve to it which I thought would give added strength to the handle. I left the handle fairly rough, just ensuring I would have a comfortable grip and not get any splinters. 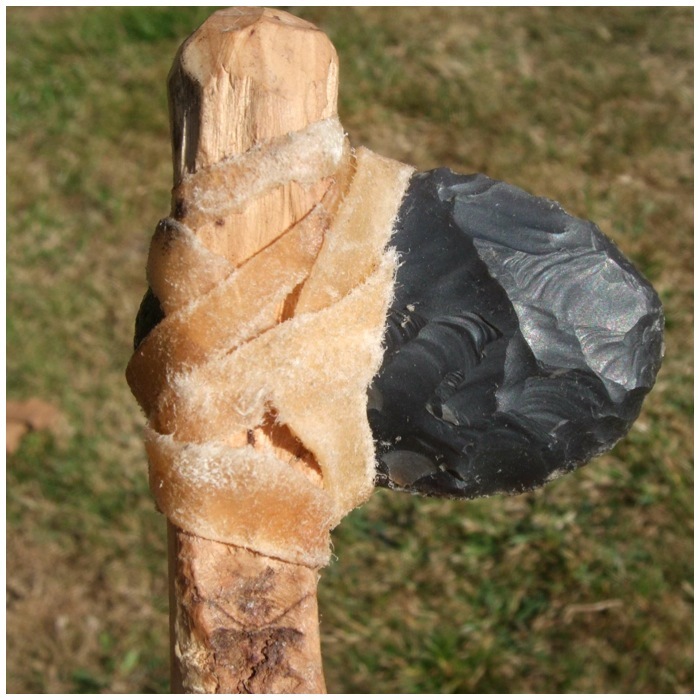 I initially started using a discoid all-flint knife to cut out the socket for the axe head but I did not take any pictures of this part. 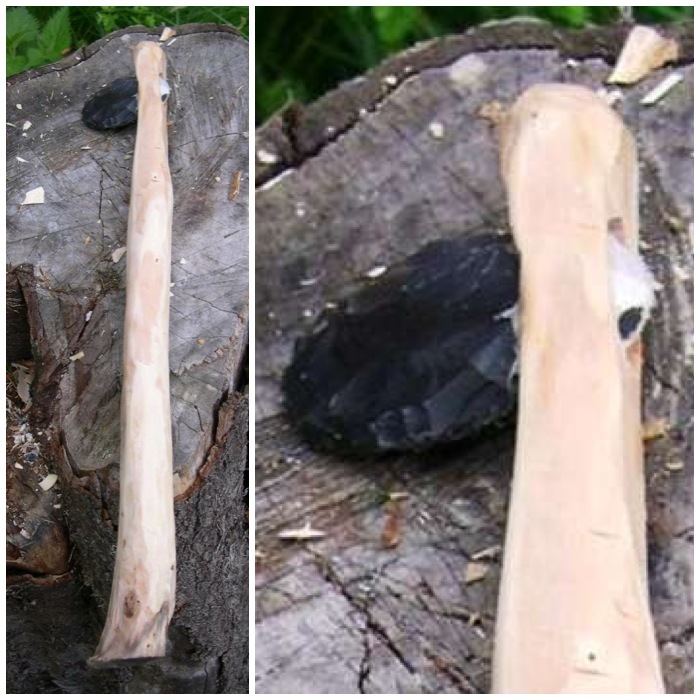 I did not do this for long as the yew was just too hard and the flint blade kept slipping. 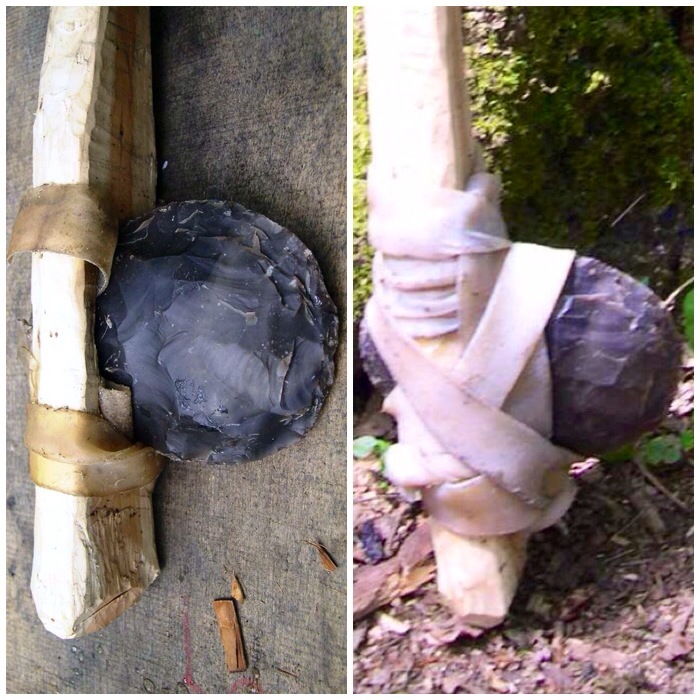 A few of the other students did just use flint for this stage but since the woods they were using were slightly softer they had more success. I ended up using my little palm gauge for the job and it worked very well. I did try and burn out the wood with embers but soon got put off this with the fumes (yew wood being highly toxic). The socket finished – front and back. A good fit but too loose for use. 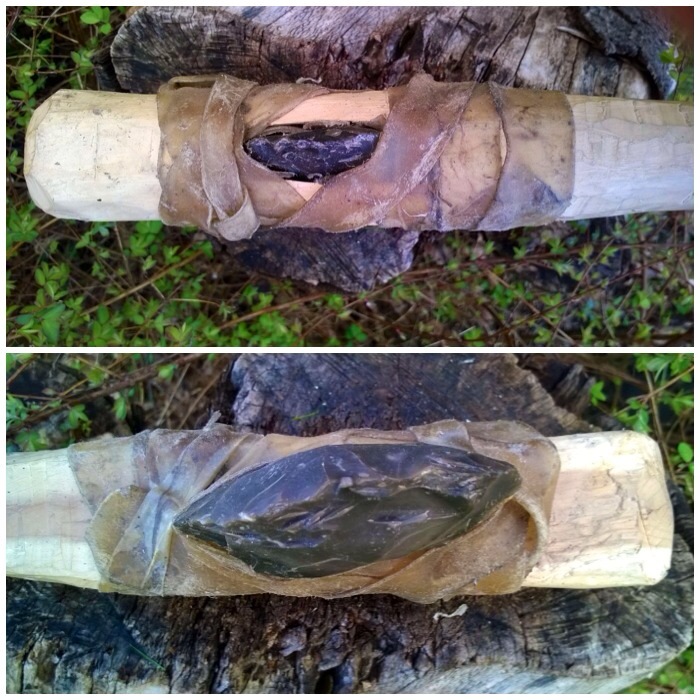 I wrapped the flint axe head in a piece of rawhide to see if that would secure the axe head in the socket (apologies for the poor quality of the pictures), but with one piece wrapped around it the axe head would not fit into the socket. Instead I cut up some strips of rawhide and held it all in place with some string. 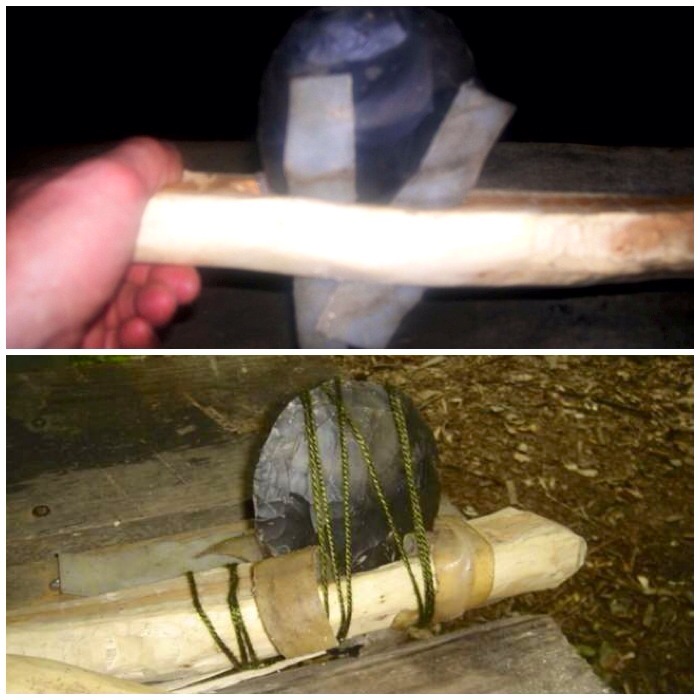 As the rawhide dried out it really gripped the axe head and the wood of the socket. 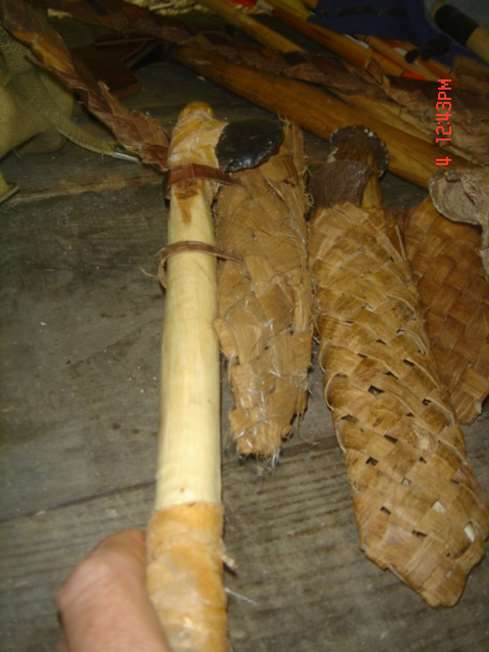 After that it was a case of wrapping a load more rawhide around the axe head and leaving it to dry for a couple of days. After the rawhide had dried out it became almost translucent but it was a very strong hold. Top and bottom profiles of the axe head. 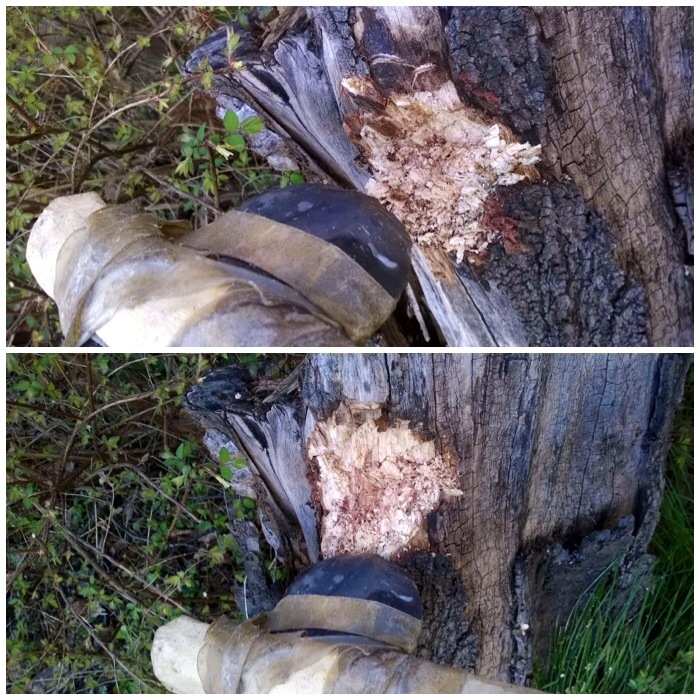 I tested the axe out on an old stump in my garden. 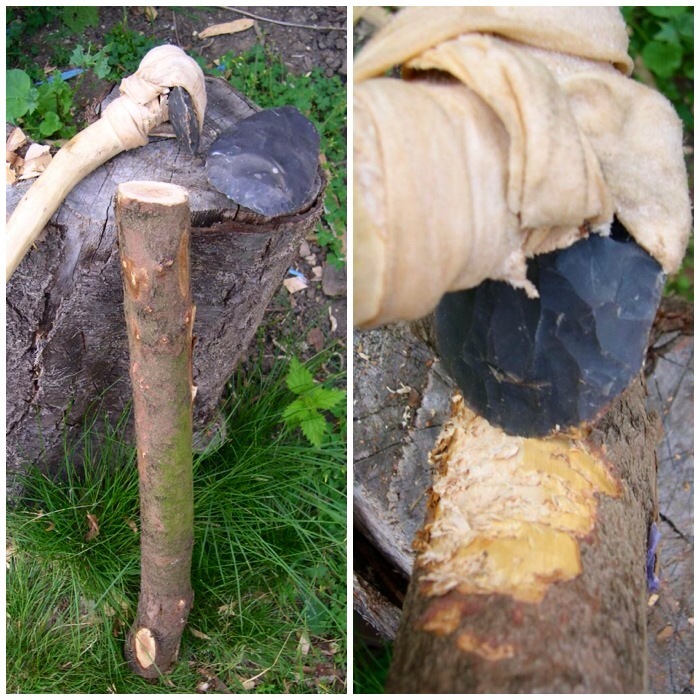 Like the adze, the axe tears into the wood as opposed to slicing into it as a modern iron axe would do. It was still very effective in its own way. The blade edge is not particularly sharp and has a good shoulder area behind it. This shoulder area really supports the edge so that it does not break off when the axe is used. I had a small flint axe blade I had made at the same time as the larger one, so I just scaled everything down to make a hatchet. As well as using rawhide I filled the socket with some spruce pitch to fill up any gaps and to help secure the head more. I have never used this tool on anything – it would have been used mostly to dispatch small game that had been caught in traps. I do like it a lot though, in some ways more than the larger axe. This hatchet sits nicely on my primitive belt order.